Imagine walking into a drumline or front ensemble audition and only seeing other girls there. It may be tough to picture. 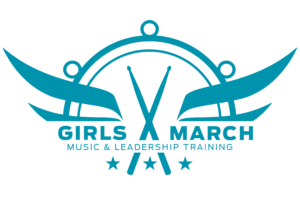 Girls March offers seminars for young women in the marching arts because this rarely – if ever – happens. Leadership and success go hand in hand. Even if we are never given the title of “leader”, we still benefit from developing and practicing leadership skills. People who exhibit leadership skills are more likely to succeed, which is why it is so important to practice and experiment with these skills early and often. Discover your own leadership style. Open your eyes to what is possible. Try something new during the exploratory blocks. Hone your skills on your primary instrument, or take advantage of the opportunity to try out another instrument you may not have had a chance to learn or go as far with, all while learning from the best in the business. Participate in group discussions about team building, communication, and problem solving. Listen to panels about career development and interact directly with female role models. Perform with your newfound friends and talented colleagues at the final performance. A full list of all camp essentials.